I finally went to local kitchen store Sur La Table and now my kitchen got a couple of new beautiful (and expensive) bowls and glasses. So exited! 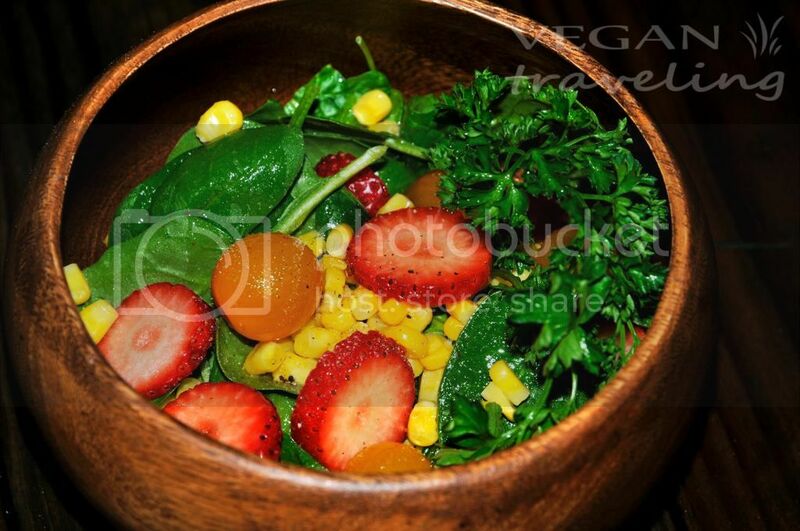 The new acacia bowl is asking for some delicious salad to be made and served in it! Decided that it’s gonna be a spinach, tomatoes & strawberry salad that looks super colorful and happy. It worked out so delicious that I feel that I overdosed on raw vegan yumminess. Which still keeps me light and full of energy. 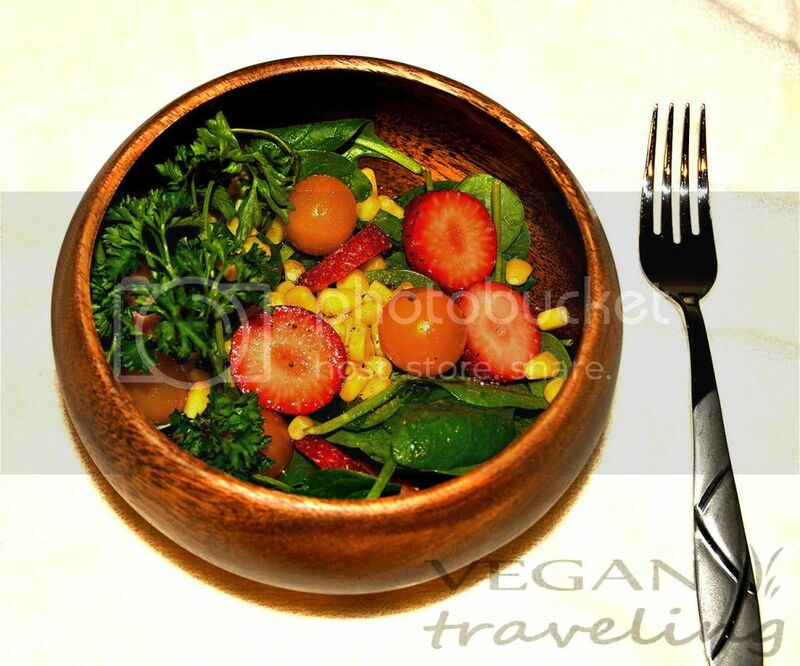 But gotta know for the future – salads from the acacia bowls are addictive! Chop spinach, slice strawberries across, dice up parsley. Mix everything, pour dressing on top and enjoy! !